Vertimass Catalyst Technology provides a simple process with resulting low capital and operating costs, that produces the least expensive hydrocarbons from biomass, while simultaneously making benzene, toluene, ethyl benzene, and xylene (BTEX) as a valuable coproduct. 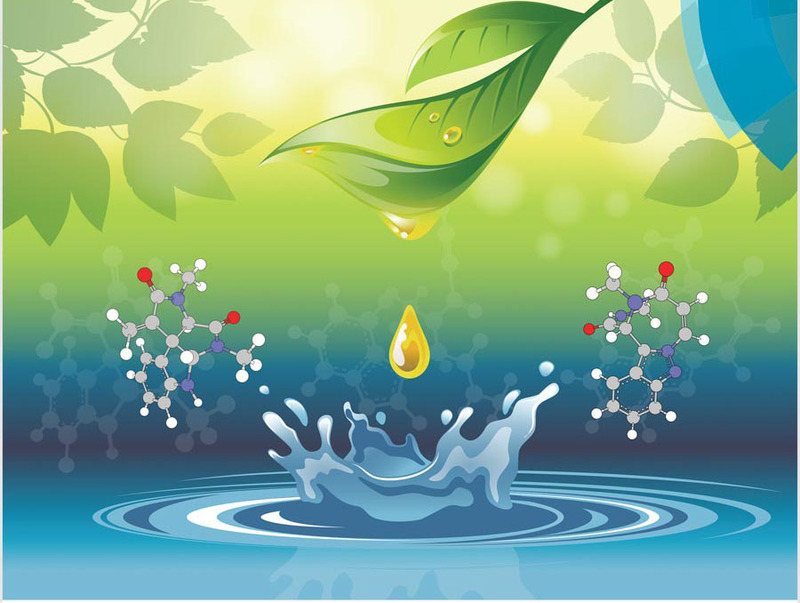 In addition, Vertimass Catalyst Technology does not need external hydrogen that other ethanol conversion technologies must rely on, thereby avoiding extra costs and infrastructure challenges that are detrimental to the environment. 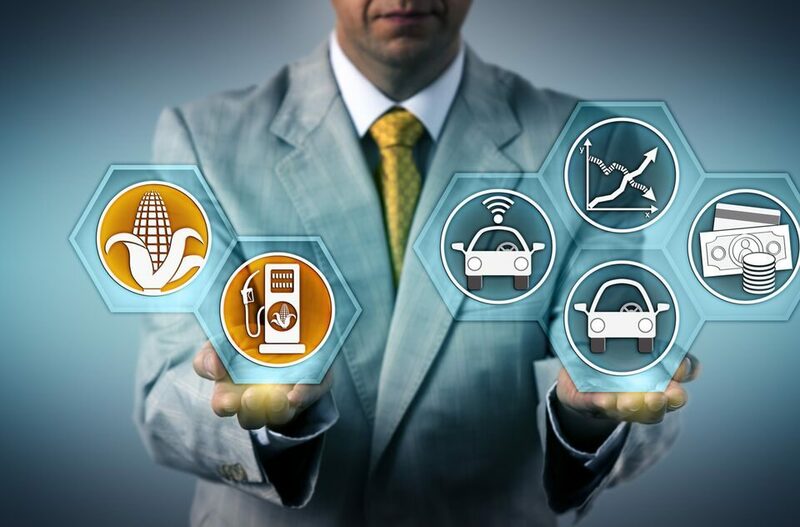 Currently, about 14 billion gallons of corn ethanol is produced annually in the United States, representing 10 percent of the existing 140 billion gallons of blended gasoline used in the US. This quantity corresponds to the maximum blend levels allowed for conventional vehicles, thereby creating a market limit referred to as the "blend wall" that stymies additional US ethanol sales. As a result, reductions in greenhouse gas (GHGs) emissions offered by renewable ethanol are limited while fossil fuels continue to contribute to climate change. Vertimass developed a simple solution to this challenge. 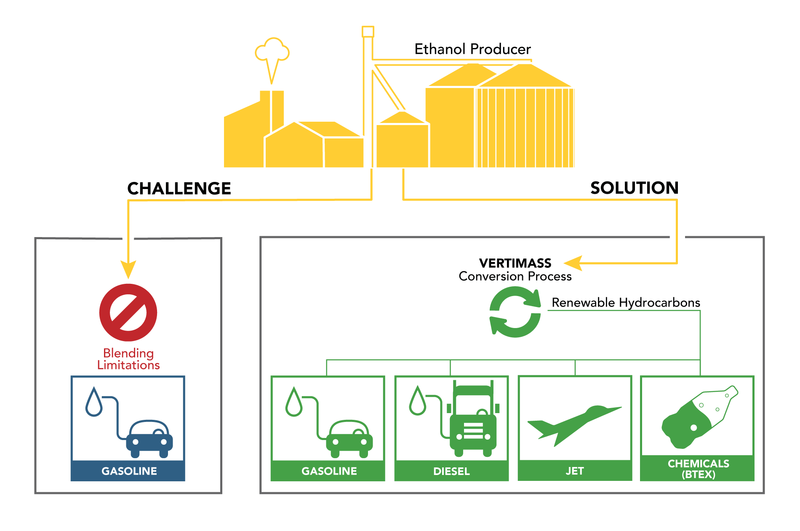 Vertimass can eliminate the blend wall by converting current and/or future ethanol into renewable diesel, gasoline, and jet fuel blend stocks. Furthermore, the technology can be deployed in any ethanol plant whether the ethanol is from corn starch, cane sugar, or cellulosic biomass. The resulting hydrocarbons allow ethanol producers to bypass the blend wall. In addition, the catalyst can produce blend stocks for diesel and jet fuels as well as make more valuable chemical precursors. This simple, low-cost operation can be easily bolted onto existing and future plants that produce ethanol from corn starch, cane sugar, or cellulosic biomass. Has low capital and operating costs. Anhydrous ethanol can be also converted to HCs. Application of this new catalyst eliminates the ethanol “blend wall” that now limits ethanol markets (10% in gasoline) and opens up new heavy duty diesel, jet fuel and chemical markets. Low capital and operating costs for Vertimass "bolt-on" to existing and future ethanol production plants. 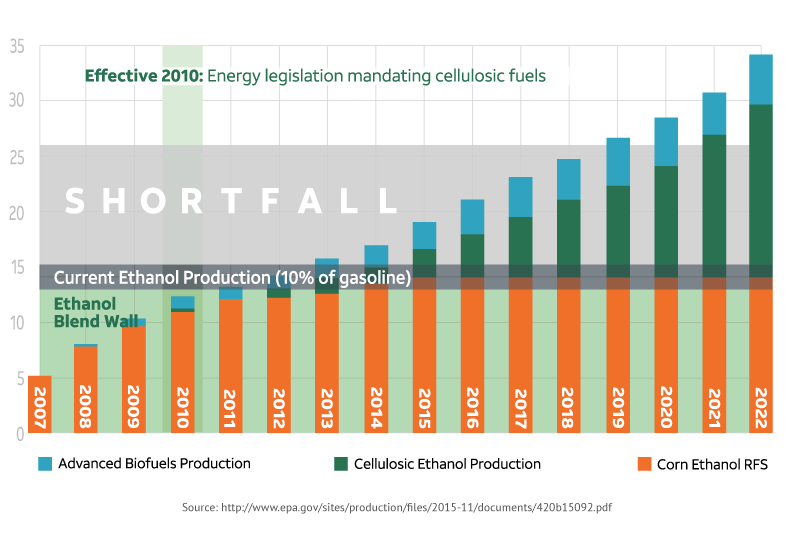 Production of renewable fuel blend stocks with significant competitive advantages. 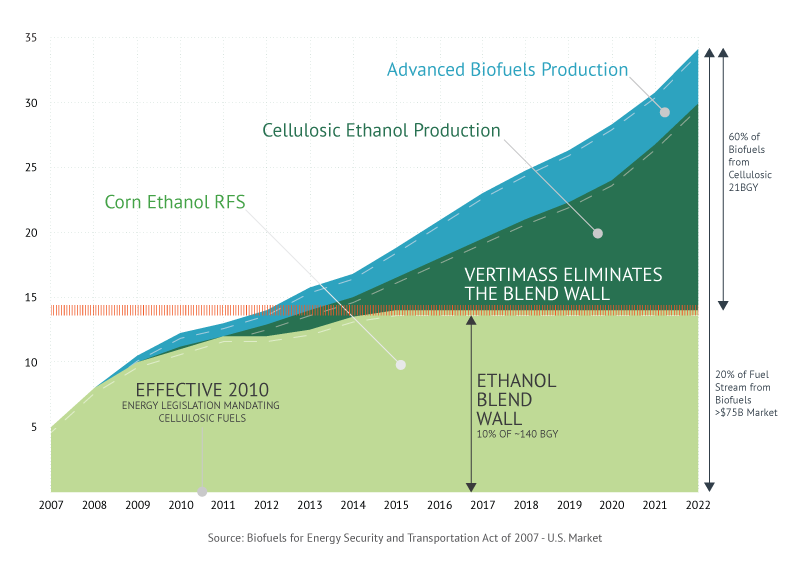 Elimination of the "blend wall" that now limits ethanol markets. Expansion of ethanol sales to new gasoline, diesel fuel and jet fuel markets. Conversion of ethanol to valuable chemical precursors. Expanded reduction of greenhouse gases. Positioned for rapid large-scale production to support the Renewable Fuel Standard.